The Australian commercial marine and defence maritime industry will be well represented at this year’s ASMEX conference at the Intercontinental Sanctuary Cove Resort 21 – 23rd May, with several keynote speakers recently in the news for all the right reasons. 2018 will mark the 8th edition of the ASMEX conference, which will for the first time include breakout sessions focussing on the three marine industry associations represented by the AIMEX Group – Export (AIMEX), Superyacht (Superyacht Australia) and Commercial Marine (ACMG). The 2018 ASMEX conference theme – “Changing the game down under. Australia has it all!” is highly relevant particularly through the commercial marine group’s keynote speaker presentations. 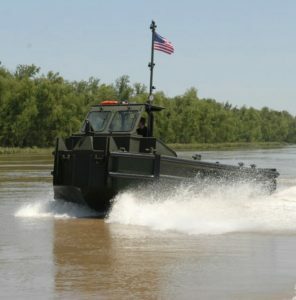 Birdon, a family-owned engineering and services business headquartered in Port Macquarie, has just handed over the first 34 of 374 Australian designed Bridge Erection Boats (BEBs) to the US Army under a $325 million contract. Birdon CEO Jamie Bruce will brief delegates on how Birdon successfully tendered for this contract, and how they continue to win and service major Defence contracts direct. 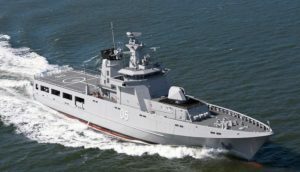 Luerssen Australia will be presenting on how they successfully undertook the challenge to compete for the SEA1180 Offshore Patrol Vessel tender, and their plans to now build and deliver the 12 new 80 metre long vessels. Mike Deeks CSC Managing Director of Forgacs Marine & Defence will present an insight into the complexities involved in designing and building what will be Australia’s largest ever ship building hall, currently under construction at Henderson in Western Australia, and also provide an update on their contract with Luerssen Australia to play the lead role in the SEA 1180 Offshore Patrol Vessel (OPV) program. KPMG will be presenting an update on their recent Civil Marine Sector report, and other presenters including AMSA and Austrade will ensure that delegates from the Australian commercial marine and defence maritime sector will be well informed at the conference. Keynote speaker Chris Lloyd, Vice President Maritime of Thales Australia, will close out the 2018 ASMEX conference with an address focussing on unlocking the Australian Marine Industry’s further potential. The 2018 Australian Commercial Marine Industry Awards winners will also be announced at the conference gala dinner event on Tuesday 22nd May.